The U.S. government's auto safety agency acknowledged Friday that staffers' failure to understand technology and lack of skepticism prevented them from rooting out a deadly problem with General Motors ignition switches for more than a decade. The mea culpa came Friday as the National Highway Traffic Safety Administration outlined actions designed to make itself more aggressive in finding and solving safety problems among the 240 million cars on U.S. roadways. It's the first time the agency has admitted fault in failing to discover the switch problem and link it to a series of fatal accidents, although regulators still blame the automaker for hiding the defect. The GM switches, used in older-model small cars such as the Chevrolet Cobalt and Saturn Ion, can slip out of the run position and abruptly cut off the engine and disable air bags. They're responsible for at least 109 deaths and more than 200 injuries. The company recalled 2.6 million cars with the switches last year. In announcing the findings of two reports, and the recommended changes, NHTSA Administrator Mark Rosekind said the case changed the agency's culture. Previously, information from automakers largely went unchallenged, but now investigators are questioning data and assumptions about safety issues to make sure they are accurate, Rosekind said. Problems with the GM switches surfaced in the early 2000s. But Rosekind said agency staffers didn't fully understand air bag technology, and therefore didn't link the ignition switches to crashes in which the air bags should have inflated but did not. The reports followed a yearlong review of NHTSA within the Department of Transportation. The DOT recommended changes including holding automakers accountable if they don't produce requested information, better information about new technologies, and having the whole agency examine safety problems. The changes already are in place or are under way, Rosekind said. He also said the agency could do even more, including more on-scene crash investigations and better examination of data, if it gets more money in upcoming federal budgets. 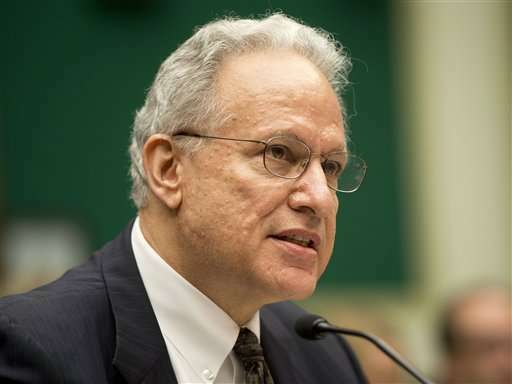 The review found no individuals at fault for failing to find the GM problem, which Rosekind said was concealed by the company. No one at NHTSA intentionally acted to hide the problem, he said. "That's different than finding somebody with all good intentions made a human error," he said.